At Henry Cavendish, we recognise the importance of becoming a sustainable school for the benefit of the planet’s environmental health. We aim to manage resources efficiently and integrate sustainable practices by educating and motivating the whole school community to live more sustainably. The children are very aware of the need to recycle and conserve energy and play an active role within the school. Our Eco Action Team (link below) is made up of pupils, parents, staff, governors and community representatives) is working hard to renew the prestigious Green Flag Award for Eco Schools, which we achieved in 2011 and has recently expired. We have previously received the Bronze Award in 2007 and the Silver Award in 2009 and so next year we are going for GREEN! At both our Balham and Streatham sites we are proud to have a set of solar panels which contribute to reducing our footprint on the environment. At Balham, the panels are a shared community responsibility, jointly purchased with the Hyde Farm Action Network while the school has sole responsibility for the panels at Streatham. One of our proudest ‘green’ achievements, these panels provide a sustainable solution to improving our environmental performance. Improve the health of the school’s pupils, staff and the environment. As a Healthy and PE mark school, we have a large focus on wellbeing and healthy living. We place a great emphasis on providing opportunities for children to take part in activities which promote healthy living, without damage to the environment. These activities include weekly swimming classes in our school pool, swimming galas, Sports weeks, a surfing project (“Get City Kids Surfing”), daily 'Run a Mile' sessions, and cycling to school through our 'Bike It' initiative. Manage and minimise our use of energy and water. As an environmentally aware school, we aim to conserve our planet’s natural resources and cut energy costs. We are continually helping pupils to educate themselves and each other to understand our impact on the planet, through lessons, assemblies and awareness raising campaigns. Eco teams on both sites carry out weekly Eco Checks to ensure that each classroom is reducing waste, recycling and conserving energy. Build, develop and manage sustainable school buildings and grounds. As a school, we have a special role to play in securing the future for young people, and we understand that the best way is to “lead by example”. Our school environment serves as a rich learning resource to illustrate sustainable living. There are gardens, solar panels, motion triggered lights, water butts and forest school areas at each site. Save it, grow it, move it, we don’t want to lose it! For the 2017-2018 school year, the Eco Teams and Rights Respecting Rangers collaborated to initiate a whole school campaign against plastic pollution. 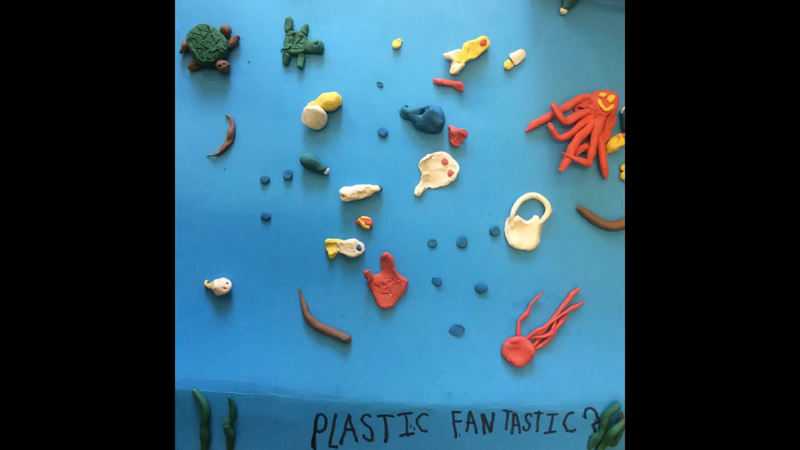 The children named the campaign “Plastic Fantastic?” and designed activities for each age group, including recycled art, litter picks, a letter writing campaign and video animation. Watch this space for our 2018-2019 focus! As part of promoting sustainable travel, the school has provided bicycle storage for 40 bikes and scooter storage racks, which is well used by the children, staff and visitors to the school at our Balham site. Both sites are well-served by local transport links. We encourage children to walk, job, scoot or ride to school, or use public transport to reduce their carbon footprint. See the bottom of this page for sustainable ways to get to and from our school! 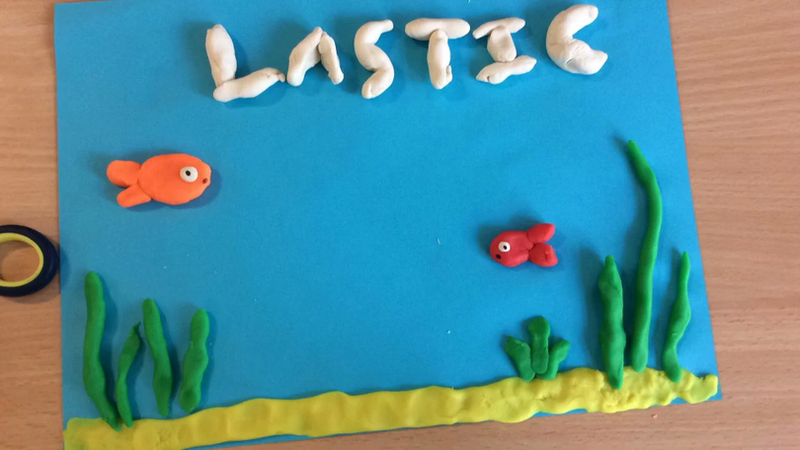 Year 5 Animation: Plastic Fantastic? Animation about plastic pollution in the oceans by Isis, Aleeza, Eva and Hannah in Class 5C. Animation about pollution in our oceans by Ella in 5Y.